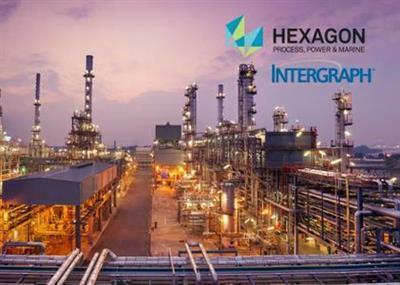 Intergraph Process, Power & Marine (PP&M), part of Hexagon and the world's leading provider of enterprise engineering software enabling smarter design and operation of plants, ships and offshore facilities, announced the release of CADWorx 2016 SP1, the next-generation software solution for plant design and automation. CADWorx 2016, an AutoCAD-based intelligent 2D and 3D plant design system, features significant enhancements including capabilities for greater control of material assignment at the specification level, management of all specification content across all versions, the ability to facilitate the use of highly specialized components with combination of different end-types, and much more. Intergraph CADWorx & Analysis Solutions' offerings allow design and engineering to share relevant information seamlessly, thereby maintaining accuracy and improving efficiency. These include CADWorx Plant Design Suite, for AutoCAD-based intelligent plant design modeling, process schematics and automatic production of plant design deliverables; CADWorx DraftPro, a free solution for intelligent 2D design and layout; CAESAR II, the world's most widely used pipe stress analysis software; PV Elite, for vessel and exchanger design and analysis; TANK, for the design and analysis of oil storage tanks; GT STRUDL, one of the most trusted, adaptable and fully-integrated structural analysis solutions in the world; and Visual Vessel Design, a comprehensive pressure vessel, shell and tube exchanger, and boiler design and analysis solution. Issues Addressed by CADWorx 2016 Service Pack 1 Fixed issues when deleting Isogen Projects in I-Configure and then running Isogen.